From the National Book Critics Circle Award-winning author of Motherless Brooklyn, comes the vividly told story of Dylan Ebdus growing up white and motherless in downtown Brooklyn in the 1970s. In a neighborhood where the entertainments include muggings along with games of stoopball, Dylan has one friend, a black teenager, also motherless, named Mingus Rude. 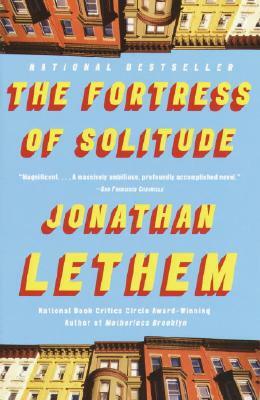 Through the knitting and unraveling of the boys' friendship, Lethem creates an overwhelmingly rich and emotionally gripping canvas of race and class, superheros, gentrification, funk, hip-hop, graffiti tagging, loyalty, and memory.